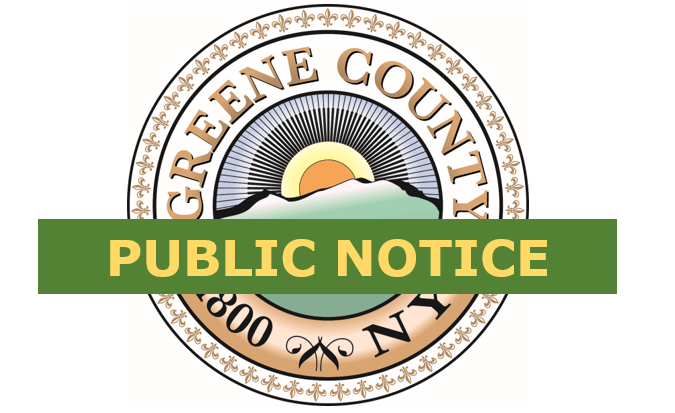 Public notice is hereby made that the County of Greene under contract with The Arc of Ulster-Greene, NYSARC, Inc. as the operator of Greene County Transit, is expanding its service into Columbia County, starting August 27, 2018. It will be a deviated route service that originates in the village of Catskill and goes over to the Columbia-Greene Community College, the Columbia Memorial Hospital, and the Hudson Amtrak Station returning back to the village of Catskill as a full loop. It is open to the general public during all hours of operation. It will run Monday through Friday, with six to eight runs daily. The expanded transportation services will provide the residents of Greene County with the opportunity to access additional medical, education, employment and commuter services. The expanded route is expected to be financed by the United States Federal Transit Administration Section 5311 Formula Grants for Rural Areas, with additional funds provided by New York State Department of Transportation and Greene County. A public meeting will be held on Tuesday, August 14, 2018 at 6:00 p.m. at The Arc of Ulster-Greene, 311 West Bridge St., Catskill, NY, 1st Floor, Training Room, at which time all persons interested in the subject matter thereof will be heard concerning the same. Comments on the expanded route are invited. Interested parties may comment on the expanded route or obtain more details about the expanded route by writing to: Sondra Cozza, Director of Transportation, 311 West Bridge St., Catskill, NY 12414, reference Expanded Route. All responses must be received on or before August 21, 2018.